One of the best things about life in Spain is the food. Cooking in Spain, Getting local and seasonal produce each day is a way of life. Here are some ideas of what to cook on your self-catering Villa Plus holiday to Costa Del Sol? 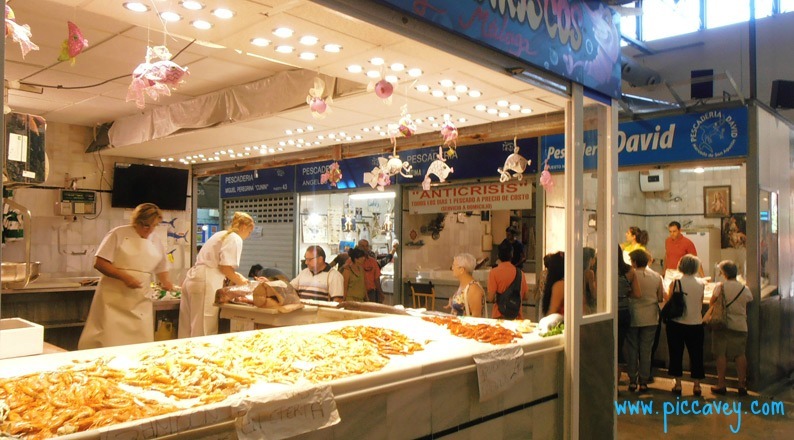 Local food markets still thrive in Spain and along the Costa del Sol you can still find many in the historic parts of the old town. Clearly the best place to buy meat, fish, delicatessen items, fruit and vegetables is the market. Usually located close the town hall in centre of a town or village. El Mercado is best in the morning. The advantage of buying at the market stalls is that you can buy individual items, such as one tomato, if you are making a recipe. The stallholders are also happy to prepare things as you request. Particularly the fishmongers and butchers. The market is normally arranged in sections. All the fruit and vegetables stalls in one area, meat in another and fish in another zone. The cheese, delicatessen and other stalls fit in where there are spaces. Some markets have a café or bar or two in them. Good for coffee and toast before you do your food shopping. You may see familiar supermarkets like Aldi, Lidl or even Iceland along the Costa del Sol. However the locals will be shopping at the Spanish supermarkets. 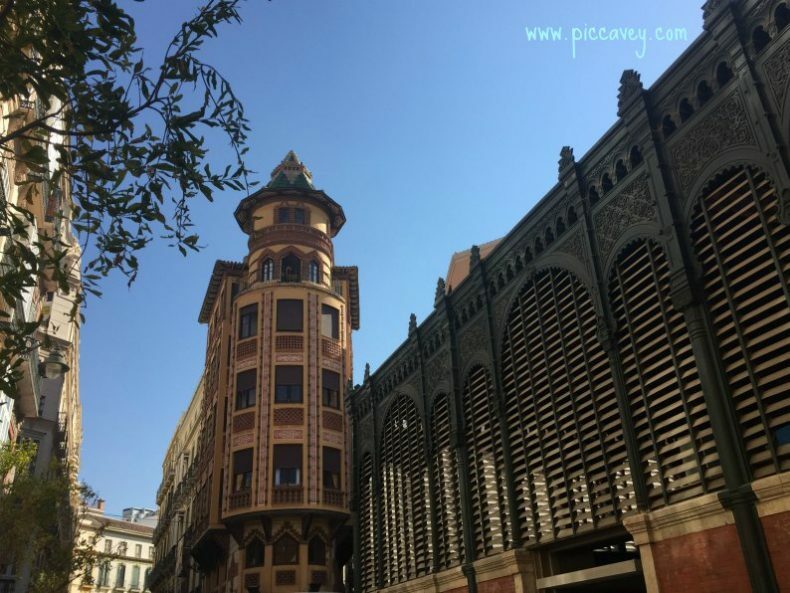 I would choose the supermarket best located to my apartment or villa however I must recommend the ice cream and yoghurts by Mercadona as they are good value and quality. Mas and Supersol have a good selection of fruit and vegetables and are very good on price. 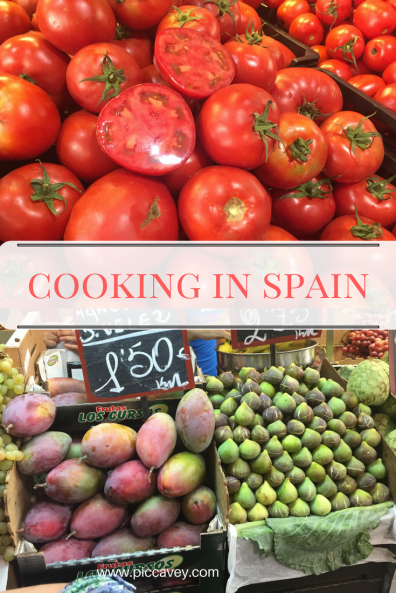 Cooking in Spain in Summertime is a relaxed affair with simple recipes. As the temperatures are high over 3 months or so the Spanish are keen to eat light meals such as fruit, salads, fish and high water content food such as the cold soups. 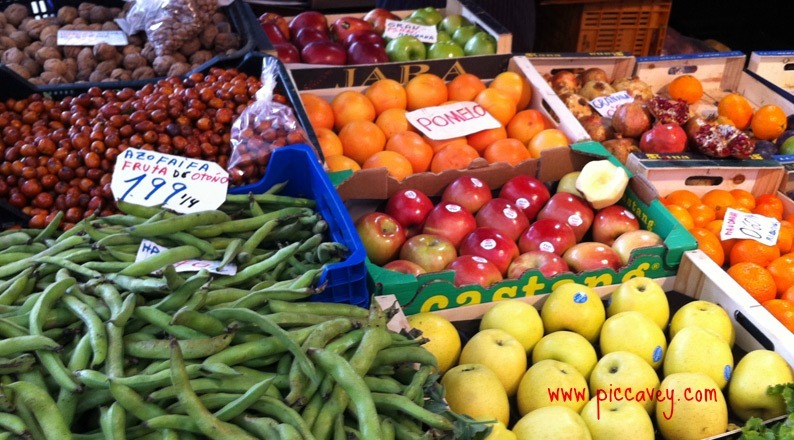 When you head to the market in Spain some of the best recipes you can choose are very tasty yet simple. Here are ideas how to live like a local when you stay in Andalusia. Buy local cheeses, ham and a good bottle of wine. 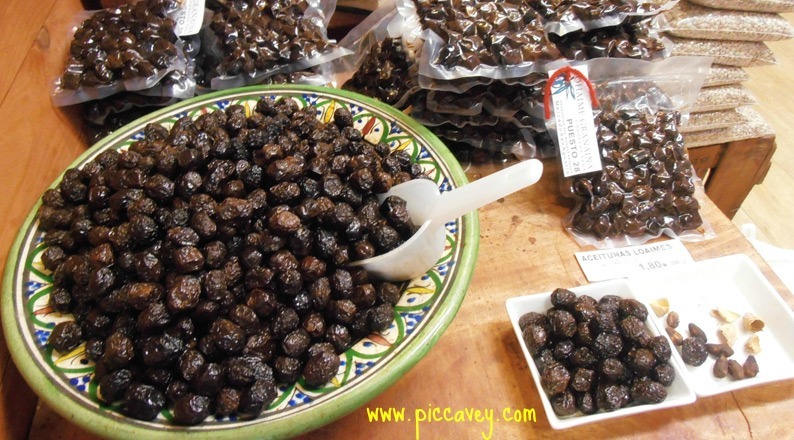 Also at the deli stall choose olives, salchichon, (cold cut) sobrasada (chorizo spread) and other typical foods. The weights are served in Grams or Kgs. You can also ask for number of slices too. Get local bread and make pan con tomate. This is made with ripe tomatoes rubbed on the crisp white bread and drizzled with Extra Virgen Olive Oil. This makes a simple evening meal for the hot days when cooking is too much bother. 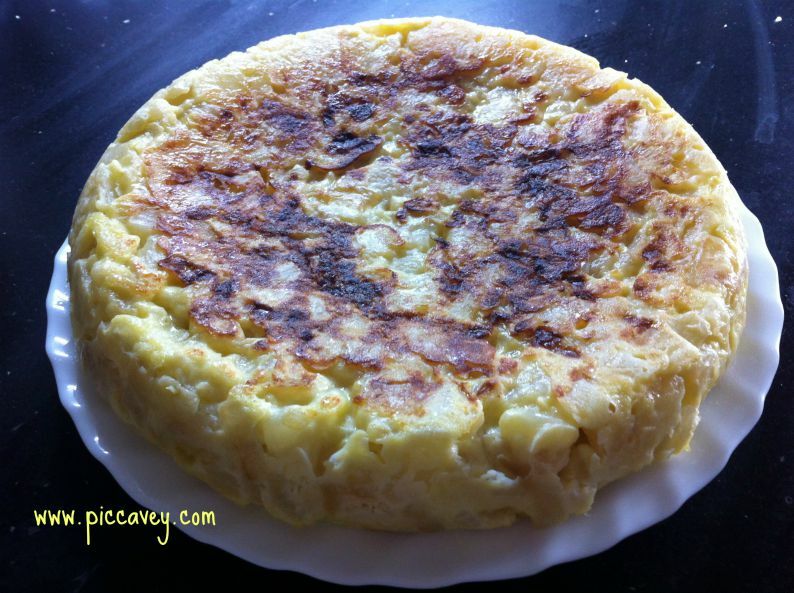 This delicious recipe is typically Spanish and quite simple to make. You need eggs, potatoes, salt and onion. I prefer to make it with Spring Onion (cebollleta) as it gives it a sweeter taste. This can be eaten cold on a crusty baguette or warm served with a salad. The authentic one has potatoes onions and eggs nothing else. Chorizo certainly isn’t a typical additional in a Spanish omelette. In Spain the seafood and fish is super fresh and great quality. There is a huge variety as Spain as is the countrythe Spanish eat 42kgs per person each year compared with just 19 in the UK. Its also good value and perfect light option for hot summer days. When purchasing you can tell the fishmonger ´Para horno´ so he knows you will put it in the oven. He will prepare the fish accordingly. Put into foil or a greased shallow oven pan. Season as desired with dried herbs, garlic, lemon slices and/or salt and pepper. Popular throughout the summertime. Gazpacho is a liquid tomato and garlic soup, served ice cold. Salmorejo is a similar dish but it is thicker as it contains breadcrumbs in the mixture. More like a puree. Vichysoisse Is a cold leek and cream puree which can also be found in supermarkets. To make these recipes you will need a blender but I would also look out for the prepared ones at the supermarket for cost effectiveness and time saving option. Go mad with the fruit, juicy peaches, dark coloured cherries, huge watermelons, juicy oranges and ripe sweet melons. 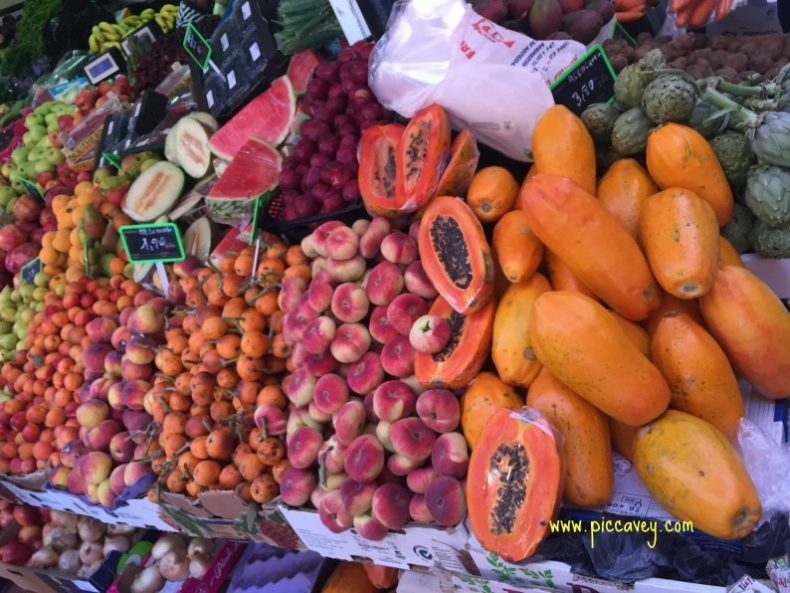 As most of Europe’s fruit is grown in Andalusia the quality and price of fruit in the region Is unbeatable. Whether you serve it with ice cream, mix it in a smoothie or eat it as it is, make the most of the delicious selection when you are in Spain. DO is a label given to food or wines that come from a specific region (like Champagne in France) so if you see a label for a cheese with DO or any other item you know that it is a special variety available and specific to that region. Malaga areas has lots of Cheeses and wines with DO certification but there are also honey and other products too. 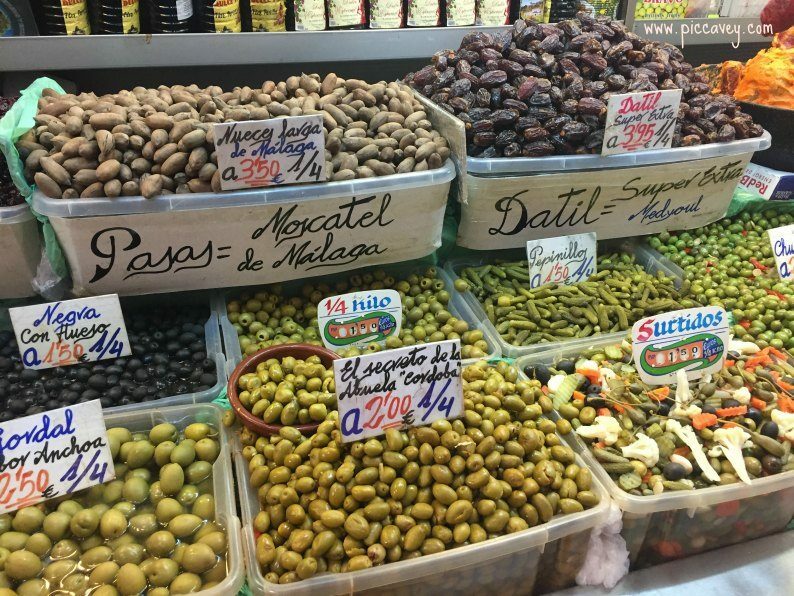 No matter what you choose, whether you shop at the supermarket or food market, follow these cooking in Spain tips you will have a delicious time on the Costa del Sol. Wonderful post Molly! I sure hope I have an oven when I get to Spain so I can experiment with baking my own fish. What are the odds of finding an apartment with an oven? Do many just use a small toaster oven? When you house hunt ask this specific question. Lots of smaller apartments only have a hob and microwave no oven. It will have a full oven or none at all. Mercadona have the most excellent Gazpacho in cartons. It’s wonderful for a lunchtime drink with a squeeze of lemon. The green carton is our favourite! They also do a Mango Lassi in the yoghurt section that is lovely.